Home » Wiki » What is Overmolding? 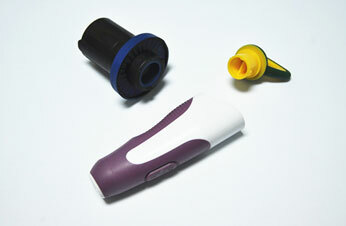 Overmolding is also called 2 times injection molding in China. Compared with the third-party material bonding, overmolding process makes the process faster and more cost-effective, it has been widely employed in plastic design. Over molding are categorized into 3 types: insert molding, double shot molding, co-injection molding. Insert molding: The most commonly used to mold soft elastomers to rigid plastics, insert molding is the most economical way to do overmolding. In the insert design, the hard segment has been separated into tools in advance, and then eject the soft materials in. Elastomers are adhesion bond, which can be mechanical locks, chemical and other methods. In order to achieve chemical adhesion, the elastomer must be sufficiently heat to melt the surface of the hard segment to achieve chemical bonding. 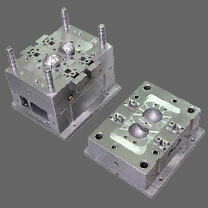 Two-shot molding: This over molding process requires two injection molding machines. Hard segment is injected first, and then led by the elastomeric mold to the injection molding machine, finished the process of hard segment into the elastomer injection. Heat substrate is usually semi-solid, gel state. These molds can be designed and shaped projecting laterally of the hard segment on the substrate. This can achieve a stable mechanical bond. Co-injection molding: In co-injection molding, while the hard substrate and the elastomer is injected into the same mold, compatibility between materials is essential, it must be carefully controlled. Co-Injection is very expensive and difficult to control; it is used least comparing with other 2 method. However, because the hard and soft substrates elastomers in a fully molten state, it provides the best bonding between soft and hard parts, the molded parts quality is also the best.